How would you rate your experience with Uber ? Uber Black: Black car executive service. Uber Pool: Ridesharing service only available in select cities. The company raised $49.5 million in funding in 2011 which helped lead an international expansion in 2012. The company first expanded into Canada, then the UK and Australia. 2013 saw the company expand into Singapore, Seoul and South Africa. 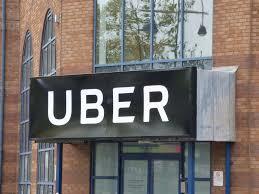 The company has faced strong opposition from the regulated cab industry. In many cities, a cab medallion can cost several hundred thousand to a million or more dollars. Uber has greatly disrupted that industry. The company has also faced public outcry for their “surge pricing” which increases fares by a multiplier depending on local demand. Some countries have banned Uber altogether. Notably, the company was banned from operating in Germany in early 2015. In 2014, the company began UberEats, a food delivery service. Uber anticipates being able to provide UberEats service to at least 70% of the continental US by the end of 2018. Uber currently operates nearly worldwide and in more than 785+ major cities. The company has raised $2.8 billion in funding to date. Headquarters for the company remains in San Francisco, California. Question 1: What is the phone number for Uber? 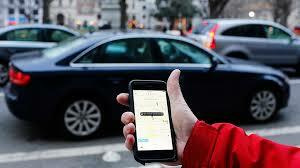 Answer 1: The phone number for Uber is (415) 986-2104. Question 2: Who is the CEO of Uber? Answer 2: The CEO of Uber is Dara Khosrowshahi. Question 3: Who founded Uber? Answer 3: Uber was founded by Travis Kalanick and Garrett Camp in 2009.
after reading much about the incident in Columbia SC and using uber on several occasions, I wish uber would use a bigger, brighter decal to identify the uber vehicle. I almost got into the wrong veh many times in the city with my daughter and it was during day light. This MUST be an eye-opener for your company. What happened to that young girl is an understandable mistake. About 1 hour ago I attempted to order from a local restaurant that said they use uber eats. I went online and set up an account but this is what I found which is why I WILL NOT BE USING UBER EATS AT ALL! 1. Website states it charges 15% fee for orders under $10; my order was $18.95 yet a fee was added and I could not remove it. 2. Attempting to find customer service was A COMPLETE WASTE OF MY TIME!. The customer service number on the site has 1 digit missing – WHICH IS APPARANTELY DONE ON PURPOSE! 3. After researching and finding two more numbers; 1 said it was not a working number; the other one only had information on some sort of “safety issues”. 4. Upon find the corporate office number in San Francisco it appears they don’t answer the phone. Key Takeway: Most of the new things stemming out of our current technology will never make it past 1st base, so to speak. These SCAM, HACK AND FLY BY NIGHT operations such as UBER. They only thing that they MAY HAVE going for them is they want to be dependent on the current technology generation which is made up of socially engineered, manipulated, spineless, balless, pathethic individuals that cannot think for themselves. They are too wrapped up in WHINNING ABOUT THEIR RIGHTS rather than just making a life. I recently moved to a new city and used Uber a couple of times. Just last week, I ordered an Uber and the driver never showed up so I canceled, but Uber charged me $5.09 to cancel; what choice did I have the driver was a flake. Yes, I emailed Uber multiple times and all they could say in their response was, we gave you the credit, which they never did. Thanks Uber, because you steal people’s money, I bought a Metro pass and the heck with you!! Uber has worst customer support in the world, I don’t think anyone can argue that. My son was involved in a car accident with a person working for as an uber driver. She was at fault for the accident and now her insurance company is refusing to pay for my son damages. She could have kill my son and I truly don’t understand how your company will allow someone to work for your company that doesn’t have the appropriate coverage. I am in the process of contacting a lawyer since my son in emotionally stress and sick to death that now he would have to pay for his car damages. I would like for someone for corporate to call me or contact me by email. Thank you in an advance for your assistance. You clearly like taking money from people’s accounts. You charged me multiple times on January 14 & 22. Your policy on authorization holds didn’t apply to me because I was a active member. I will seek legal counsel for these charges. I was just charged double my rate. Should have been $27. Was charged $60. Driver intentionally took a different route so he could get more money. Emailed support and they did nothing. Uber stocks are going down. Use lyft. They don’t use this practice. Or back to taxis. Wow, no way to contact Uber and they don’t answer their own corporate main phone number. I was FRAUDULENTLY charged a fee by a driver I never met nor used, who has a 1.9 rating and Uber provides no way to deal with this. I guess I’ll be burying Uber on social media. Crap company. Shouldn’t be a surprise considering the horrible reputation of the dirtbag CEO Travis Kalanick. It seems impossible to get a human being from Uber to help solve problems. My entire family is currently locked out of Uber, and my efforts to resolve the issue end with robotic replies to text, email, Twitter, or Facebook messages. This is my last try. Somebody please help me resolve this issue. If you can’t resolve this issue (about $80 charge), I will take the hundreds of dollars my family spends annually elsewhere. i am with the person on that this a major class action lawsuit all in favor please feel free to contact me at janessadiamond1215@ gmail.com F**** this company ive been getting screwed left and right by them and ive had it!!!!!!!!!!!!!!!! one way or another you are gonna pay uber for all the chaos in all these people(s) and my situations!!!!!!!!!!!!!!!!!!!! I been driving for Uber for over three years an I was deactivated because some one lied an said u was under the influence,now over the years this has happen to me about 4 times,I don’t do drugs an I never did drugs in my life an I don’t drink alcohol,they won’t turn my app back on an I can’t even defend myself,I quit my job at chevron oil refinery to work full time for Uber an they treat the drivers like mess.i want to no is there anything I can do are can I sue uber for firing me for no reason r proof. I have been trying to straighten out the problem of possible fraud that was detected by my bank. I have been corresponding via the website text option. This has been going on for days. They repeat messages that they previously sent and absolutely nothing is getting accomplished. My family member not able to use the service. If they’re not able to use a service Uber is not making any money from me. you would think somebody with some intelligence would try to fix this situation! to Train Station, only offered Executive Vehicle at 3 x the usual fare. Offered adjustment which was NOT done. Sure I was targeted as in need of Tim’s sensitive ride. How about a $50 refund which is appropriate. offered an huge upgrade SUV. Price usually $34, this vehicle $87.00. Message an adjustment would be made. Instead, I was charged the crazy high rate, and told to call earlier next time. Crooked policies, fraudulent practice, and I was a victim. My birthday is July 24th. I have sent in a copy of my DL renewal FOUR times and it keeps coming back rejected. It is clear to read and issued from the State of Texas. Please assist. Ford -because of the airbags recall—stopped the use of my car -they gave me through enterprise rental a loaner at no charge. The 2017 Nissan Ultima car is lisensed and covered by my car insurance. Just not listed on my policy because its a rental. Enterprise does not give you the registration just a self insurance card. I have been trying online to get this car on my app and asked for assistance from customer assistance (in Columbia) She could only say (X5) I can’nt rent a car from Uber in Fort myers. I asked for her supervisor and was told he could not be bothered and to call back because he would not return my call. I can not be the only person in this position. For business purposes, I set-up an Uber account and added my company cc information yesterday. Today I received a call from the Fraud Department, at the bank for our company credit card. My card was compromised after I set-up my Uber account. Someone used it and decided to go on a shopping spree. Needless to say, I’m going to delete my Uber account because your employees are not trust worthy. UBER IS HORRIBLE AND SHOULD BE BAN FROM ATLANTA, GA. THE DRIVER ARE UNDER PAID INSTEAD OF US BEING FOR TWO RIDERS THEY INCREASE THEIR SERVICE FEE AND END UP GET MORE THAN THE DRIVER. HOW IS THIS POSSIBLE? I HAD A POOL RIDE WITH 2 PEOPLE 1 PERSON WENT 40 MILES AND THE OTHER ONE WENT 34 MILES. I SHOULD HAVE RECEIVED AT LEAST 23.00 PER RIDER AFTER UBER GETS THEIR MONEY BUT INSTEAD I WAS ONLY PAID 26.19 AND UBER RECEIVED 50.00. HOW IS IT POSSIBLE THEY RECEIVED MORE THAN I DID. I AM EXTREMELY PISSED AND CONFUSED. I HONESTLY THINK UBER SHOULD BE BANNED IN ATLANTA,GA. I THINK THE DRIVERS SHOULD COME TOGETHER AND NOT DRIVE ALL OVER THE WORLD WHERE UBER IS FOR A WHOLE WEEK. UNTIL THEY REALIZE THEY CAN NOT KEEP CHEATING US. Well hey they are saying I causing fraudulent food deliveries after I discovered that my tips are missing more and more! #1: I seek to work with Uber under my company called “Global Resource Management LLC.” Can i do that? #2: I want to Deliver “FOOD” under “Uber Eats” in the Seattle, WA area for now. #3: I just bought a 2014 Kia Forte, is that Okay? 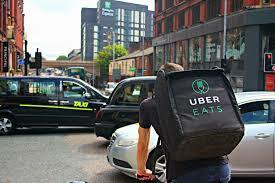 #4: What Type of “Cell Phone” Do I need to have to Deliver Food under your “Uber Eats” Program? #5: Are Walmart Phones Okay? #6: I can “NOT” access my existing account i have with you over the internet, because i lost the Password and each time i request for another password, your computer does “NOT” send “ANYTHING” to my Email Address at: “Hope4all@Pacific-Ocean.com. What Can you Do? Please Phone me at my existing location in California at: 661-948-5161. I plan to move to Seattle, WA to start working with your company as soon as i get the info to do the work from your company. I’ve had the worst experience with Uber support in the last 9 days. I was receiving promotions for the ATL area but I actually drive in Augusta so I thought I needed to change my City. The agent that I spoke with when I called did not check the City that I was registered to drive in (which was already Augusta). I had the hardest time getting my account active again. It took me 9 days and I lost a lot of money. I called support repeatedly only to speak with agents who had no idea what they were doing. Finally, on Monday morning, I called again and spoke with an agent who helped me to get my account active. I even waited for hours over the weekend to speak with a supervisor (Abner) who acted like he could care less about the fact that I could not make any money to support myself and my family. From this experience I feel that Uber is not concerned about their drivers and is only concerned about the riders who pay them. I need someone from corporate to contact me quickly. I have submitted 3 separate instant pays, not a single one has been deposited to my account. Customer service is a joke, and barely speak fluent English. cbryanward@ gmail.com. I have an idea to increase Uber’s appeal. Start a service called a Uber Senior. There are many older folks who don’t drive but need transportation, and can’t or won’t use a smartphone with the app. Uber Senior could use a phone call to summon a car with a follow up call to provide time of arrival. The aging population and their transportation requirements are a market that is ready to be served by a company like a Uber. Ninerem@ yahoo.com old people can not use the app any more. Too hard for them. Don’t trust it either. I would join any lawsuit. I would definitely join. My car still has not been fixed from a fender bender that happened in December and I’ve had issues with my profile all weekend on one a really busy weekend. Uber does not care about their drivers. Customer service really is a JOKE – half of them don’t speak English and have no idea what they are doing. I finally got an agent on the phone who knew what I needed and was more than happy to help after being on the phone with them for the last 6 days for hours. Uber does not give driver adequate prenotification before instructing them to make account updates -when it’s their intent to freeze the account for 24-72 hr for validation , even after they sent an uber pass code to my phone to do the update (holding funds, harboring interest, unjustly enriched, charging instapay fee, does not give driver the ample opportunity to make viable decisions before moving forward with an update) Insta pay means -immediate **when fairs are wrong , ?manual fee adjustments can be made? I have numerous charges to my account for rides that were never requested. In the first case Uber responded that my account was credited and in fact was charged again for the same amount. Your web site is useless. I want a human being to contact me to rectify this or my cancelling and signing up for Lyft will be the next step. I am a frequent user of Uber taxi’s in the London area & was so disappointed when I heard you didn’t get your licence renewed. I am amazed you didn’t as your such a reliable service & have never had any complaints with your service or any of the drivers. To that end I am writing to you to see if I could help with this situation, I am an assessor that works for a successful company who deliver numerous apprenticeships & qualifications including Taxi & Private Hire which includes Customer Services. This could in the future assist in helping you with renewing your licence in the London area by having all your drivers qualified with this qualification. Plus it will be an investment for your drivers as they will also receive a qualification for the excellent work they do. If you would like any further information about this or discuss it further, please do not hesitate to email back on the above email address. I would like to contact uber accounts receivable for a summary of my 2016 rides for tax purposes. I cannot get through on any number provided. You need to strengthen the contact between wherever billing is and the drivers. I cannot count the amount of times I have had billing problems. I have been charged cancellation fees for trips the driver cancels, I was charged a cancellation charge for an Uber Pool trip I cancelled in ample time, i was charged a wait charge when the driver got lost, etc. While I was refunded this should not have happened. When I was refunded the wait charge when the driver got lost I was told it was “as a courtesy”. How does Uber figure they have the right to charge when I was the one doing the waiting? I want to know why your company thinks it is ok to pick up a 14 and 15 year old at midnight? They can’t say they were not aware of the age or that something was going on when they are instructed to meet at the road instead of a house. And because your company doesn’t check to see if they are minors, I just think you should know that these children were dropped off at gang members house and was forced to do thing that should never have happened. This all could have been avoided with a quick ID check. Now I get to pick up the pieces. Thanks uber. I would like to write this letter to draw Uber Corporate Headquarters attention on how Uber is treating their partners in Hong Kong. I was worked with Uber for almost 2 years. I found that the way of UBER HK to treat their partners was terribly bad. For example, one time when the rider thrown all the rubbish in the car and I tried to claim for the cleaning fee. UBER HK required me a lot but as you may know the cleaning service company is always small company and work independently. Even I sent all the related materials to UBER but I cannot get any reply since June. Also, I want to draw serious attention to management team in UBER corporate that there are many activities organised by UBER HK as some dinner gathering, BBQ event, etc but once i got the message and I immediate call for registration. (not more than 5 mins) The staff of UBER HK claimed that the event was full. This is really ridiculous and I hope the management of UBER looks into this serious problems. I want to know what is going on with my instant pay and why I can’t get my money from the last 2 weeks. I would like to start off by saying what a wonderful idea that you have started. If I can try to explain my frustration as a driver, I started with Uber in Toronto Ontario about four months ago and have done over one thousand trips to date. I am licensed in the city of Toronto,then Toronto office applied and got me licensed for Hamilton Ontario and then a little while later, the Twin cities of Kitchener-Waterloo Ontario. Everything was fine until a few days ago I bought a NEW CAR 2017 from the dealership. I made all the changes online in my profile with the exception of the safety certificate which I substituted with the bill of sale. However, I was told the safety certificate would be required nonetheless. I had to drive all the way to the Mississauga Ontario where I was informed that I had to produce a Safety certificate – which I then did. (THIS IS A TOTALLY RIDICULOUS REQUIREMENT FOR A NEW CAR.) Since changing cars, I found out I am only licensed in Toronto Ontario. WHY??? None of my qualifications, etc. have changed – only a new car. I can’t seem to get a straight answer as to how I get those other licenses back. Any help with this matter would be appreciated. This has been very frustrating as with any communication with your Toronto office. Thank you for looking into this. Hello I’m a musian nationally known for playing drums with the singing group the Ojays six yrs.and I played drums on the song play another slow jam by the group midnight star written by Babyface(Kenny Edmonds ). I’ve traveled the world . playing in a lot of arenas.these days I’m doing a lot of music production getting songs played in different situations .movies reality shows sport shows suspense thrillers .my reason for reaching out Uber is because I wrote a song for Uber. And know the people of Uber town will enjoy this music from me can someone call me or text me so I can forward this song to the right person . thank you. I left my iPad in my Uber driver’s car last night about 5:35 pm. I have sent 3 messages and I have NOT received any notice fromy driver! This is a mess!! check have been done. I had went to the Houston office on Star Lane. Fifty dollars? What are all of my finance options on the insurance and leasing? everything and enough to live on. I am a driver in Houston , my account was deactivated for some unknown reason. I have sent many emails and no one has responded to me, I just want to drive. I noticed I have not drover in four days and my rated keep going down for some unknown reason. Want to make sure Uber sees your comment or complaint?